Today, Challenger Center announced that several of the lessons Christa McAuliffe planned to perform aboard the Challenger shuttle during the Teacher in Space mission will be completed aboard the International Space Station (ISS) this year. 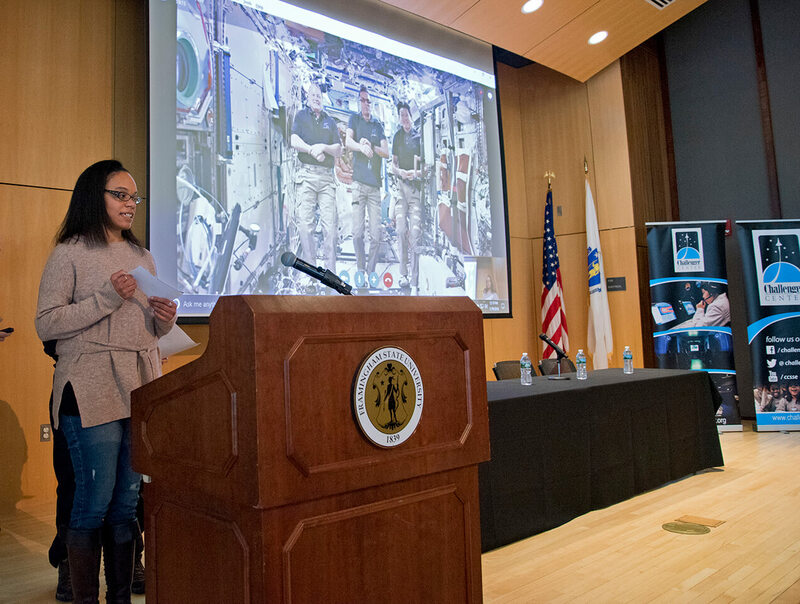 Challenger Center, in collaboration with NASA and STEM on Station, will work with astronauts Joe Acaba, currently aboard the ISS, and Ricky Arnold, scheduled to arrive in March, to film the lessons. Acaba and Arnold are both former educators and will film the activities over the next several months. The lesson topics will include effervescence, chromatography, liquids in zero-g, and Newton’s law. Several of the lessons will be completed as originally planned by Christa and a few will be reimagined based on materials available aboard the ISS. The videos will be released alongside corresponding classroom lessons and available on Challenger Center’s website this spring. Christa McAuliffe was a high school teacher who made history when she became the first teacher selected to go into space. She had planned to film several demonstrations to be used as a part of educational packages distributed to students and teachers across the globe. The crew of the Challenger shuttle died tragically on the morning of Jan. 28, 1986 when the shuttle broke apart just 73 seconds after launch. The announcement comes prior to the 32nd anniversary of the Challenger accident and was made by Acaba during a downlink hosted by Challenger Center and the McAuliffe Center at Framingham State University (FSU). FSU is Christa McAuliffe’s alma mater and home to one of Challenger Center’s 43 Challenger Learning Centers. Both the Christa McAuliffe lesson collaboration and downlink at FSU are part of NASA’s Year of Education on Station initiative. View the announcement from Joe Acaba.